San Jose police are investigating two separate homicides that occurred less than 24 hours apart this weekend. 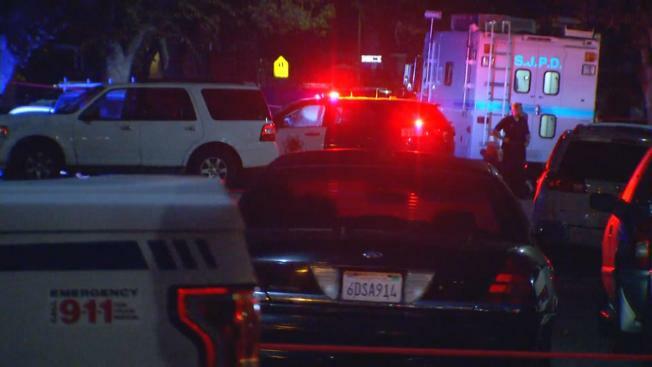 The first shooting occurred near the area of East Hills Drive and South White Road in East San Jose around 8:45 p.m. Saturday, police said. About 18 hours later, police said a man was gunned down near North 26th and Julian streets. In the Sunday shooting, police arrived on the scene about 2:45 p.m. to find a man suffering from at least one gunshot wound. He was pronounced dead at the scene. In the Saturday homicide, an adult male was shot at least once. He was transported to a hospital, where he was pronounced dead. Neither victim has been identified and police are looking for leads in both cases. "At this point, I don't have reason to believe they're connected, but again we're at the preliminary stages certainly of this investigation and still investigating the other one," said Officer Paul Joseph of the San Jose Police Department. The shootings mark San Jose's 21st and 22nd homicides of 2016, according to The Mercury News. This time last year, San Jose had eight homicides. In both cases, suspects have not been identified or located and remain at large, police said.